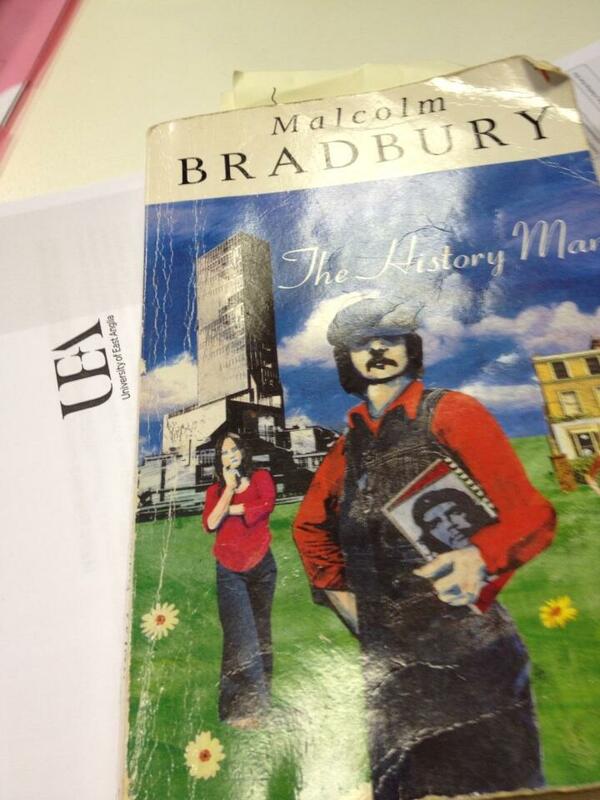 This is the second of two posts prompted by a reading of ‘The History Man’ by Malcolm Bradbury (1975). I had intended in this post to compare a university that I know today with Bradbury’s fictional University of Watermouth. There are, however, too many features that deserve comment for a blog and I have chosen to focus on just three; activist academics, catering for meetings, and the departmental meeting. And I stray into local government territory – in my experience, higher education and local government rituals can be inter-changeable. Probably the most well-known ‘activist’ academic in Norwich is the former MP, Ian Gibson, in office from 1997 to 2009. I suspect in earlier days in the late ’70s, as a member of the Socialist Workers Party, he might have been seen with other university colleagues selling the Social Worker outside Norwich City Hall. I certainly don’t recall Ian being a thorn in the flesh of the City Council during my fourteen years as an officer. The Council, led by a strong Labour group, was often more bent on in-fighting; what else was there to do in the absence of a credible opposition? (It was no different in Sheffield in the mid-80s.) Ian did make a great rousing speech at the Assembly Rooms in 1999 when we launched the Council’s Equality Charter, one of my last projects before leaving for a job in the voluntary sector in 2000. Today, as a trustee of the Silver Road Community Centre, he is actively campaigning for the centre as a base for community learning. Perhaps not a thorn in the flesh, but a useful bit of grit in the shoe. At the City Council today you will find university lecturers, postgraduate researchers and students in the Council Chamber, sitting on the Green benches as elected Members, fifteen strong; now a more credible opposition to the twenty-one member Labour Group and the miserly three member Liberal Democrat contingency. And active – in my final month as Community University Engagement Manager, I received a call from the one of those Green academics, asking if the university could find a way of helping to fund a charity which had just lost its City Council grant. Not long after, I heard lecturer and Green Party Councillor, Rupert Read, interviewed on local radio as he protested against the building of the Norwich Northern Distributor Road. So, like Howard, these academics are busy in the world as well as in the mind but I would say, much better placed to agitate for effective change. I arrived at the university in early 2005, towards the end of the tea-lady era. A lady in grey overalls wheeled her tea-trolley around the Registry and the Council House, serving beverages and biscuits to the Vice-Chancellor and his Executive Team. If you asked Val (I think that was her name) nicely, she would service your meetings too as long as your request was logged in the Registry Receptionist’s diary. The Registrar held a tea-party in the Vice-Chancellor’s Office in honour of her retirement and uttered the most eloquent and profound tribute that I’ve ever heard on such an occasion. The last of her kind, she wasn’t replaced. Catering for meetings can be tricky as it seems we can never go too long without some sort of sustenance. During City Council Housing Committee meetings over lunch in the late ’80s, as a council officer I struggled to make myself heard above the sound of Members slurping their soup. The soup option was later withdrawn; the sandwiches and sausage rolls continued well into the ’90s. Anything, however, was preferable to the sight and sound of chief executive Anne Seex, chewing gum as she presented her reports to the Cabinet Meeting. Observing my glares, she carried on regardless, seemingly oblivious to the effect of her ruminant impersonation. At one time I would have been highly irritated at the presence of any distraction at a meeting that took someone’s attention from the agenda. I recall over fifteen years ago, Councillor David Fullman’s habit of texting during Norwich City Council’s Housing Committee meetings. No amount of glaring by me – the housing policy officer presenting her report – would shame David into putting down his gadget. The glaring was pointless (he was looking at his phone) but at least I was displaying my disapproval, should anyone care to notice. But just when I thought he wasn’t paying attention, David would nonchalantly chip in, not only with a correction to a typo in my report that I hadn’t spotted, but with an incredibly insightful contribution to the discussion. No doubt David didn’t realise at the time that he was ahead of the game. Effectively utilising one’s time at meetings is clearly an art. would this be viewed as legit, I wonder?